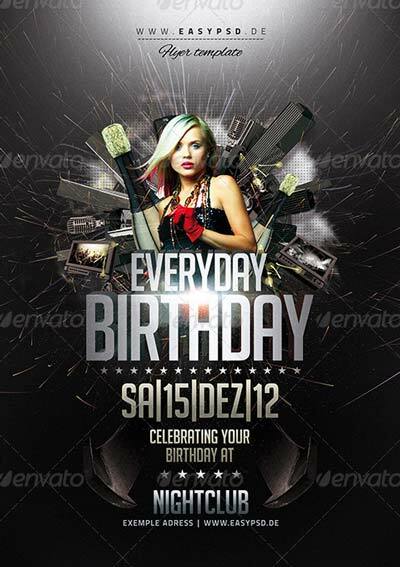 Enjoy the following elegant, classy and innovative designs. 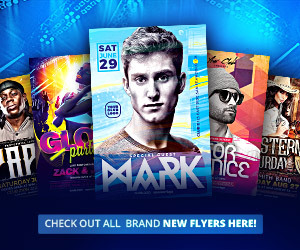 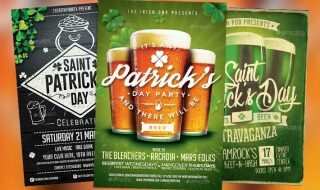 Create and get inspired for your next club, pub, bar and party events with our great flyer designs. 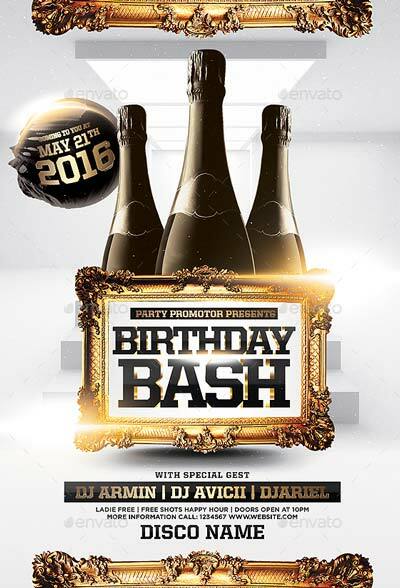 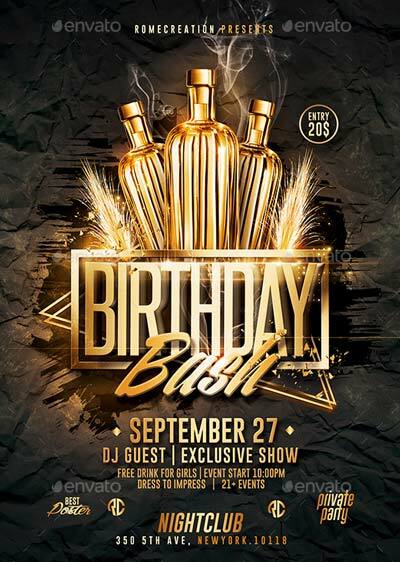 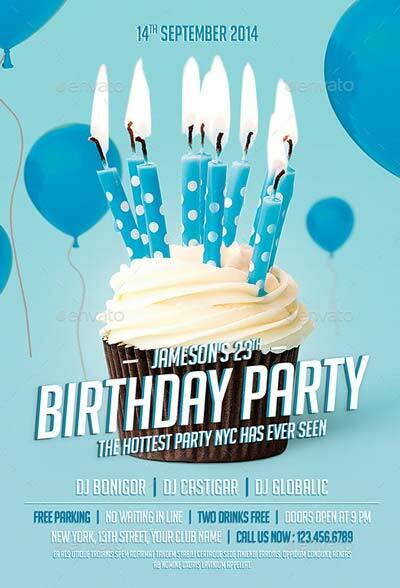 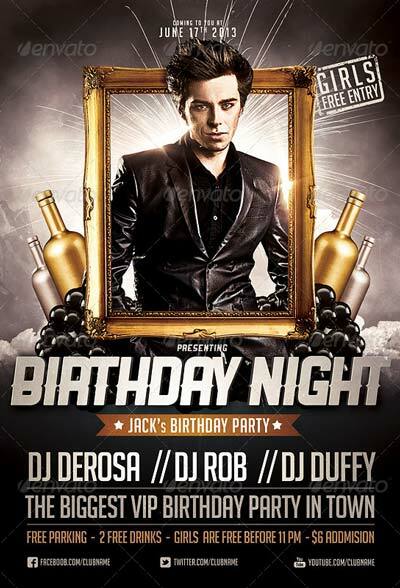 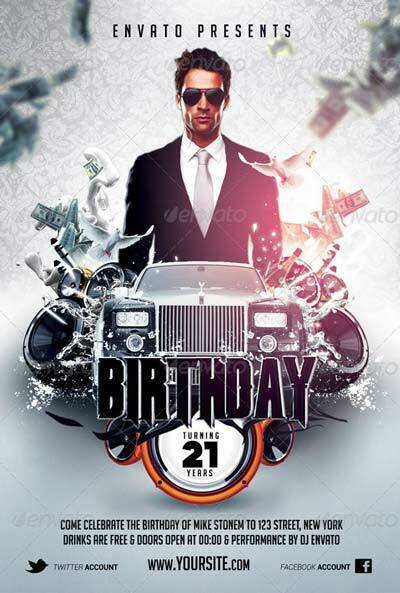 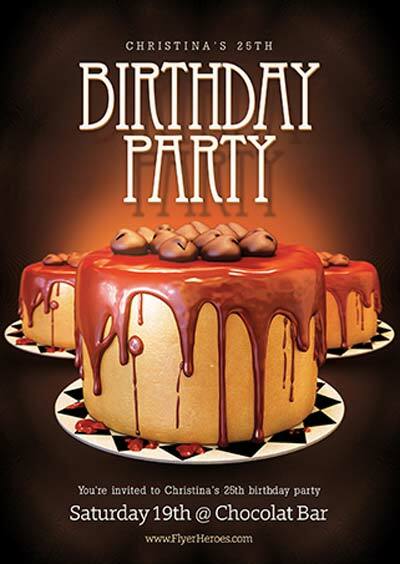 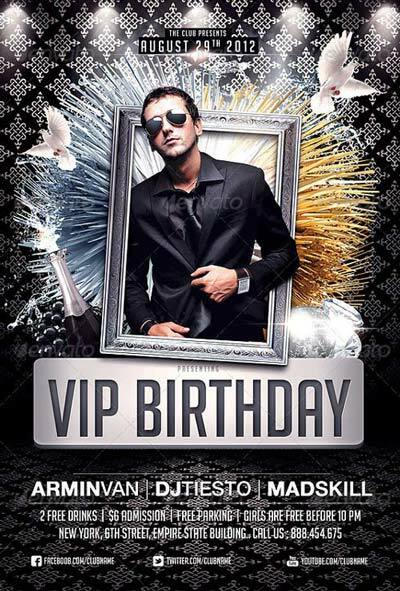 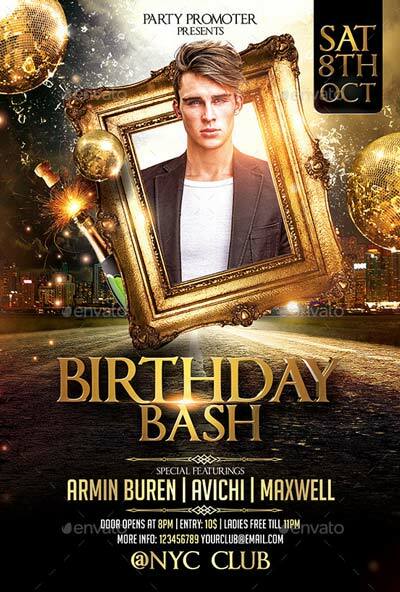 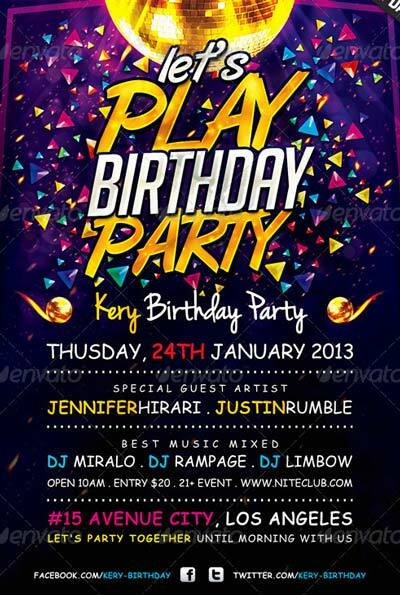 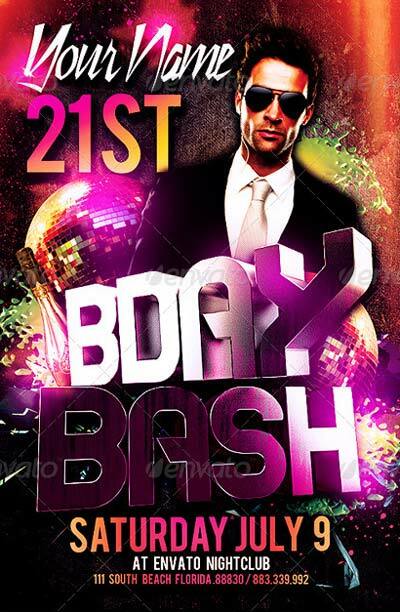 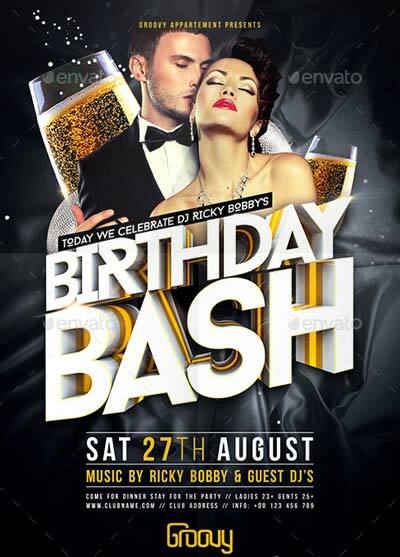 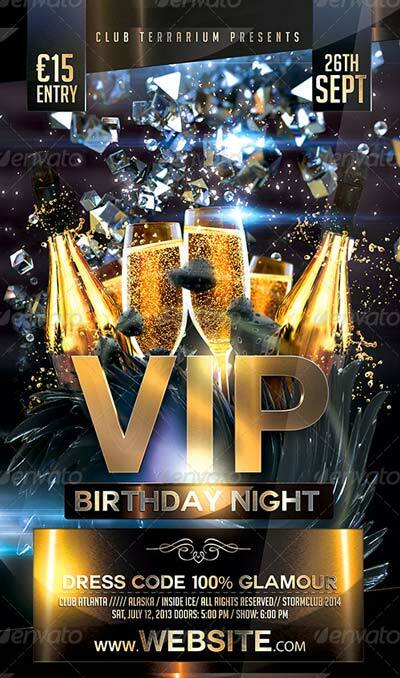 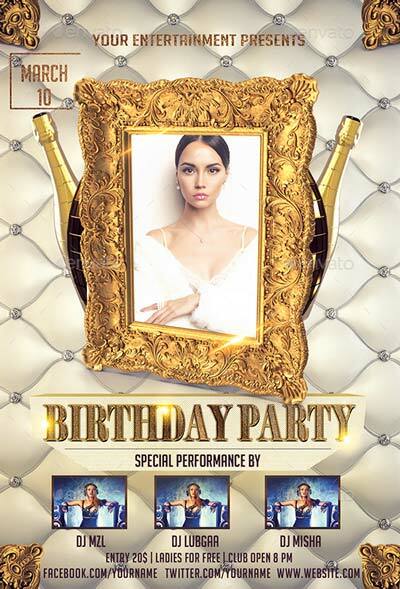 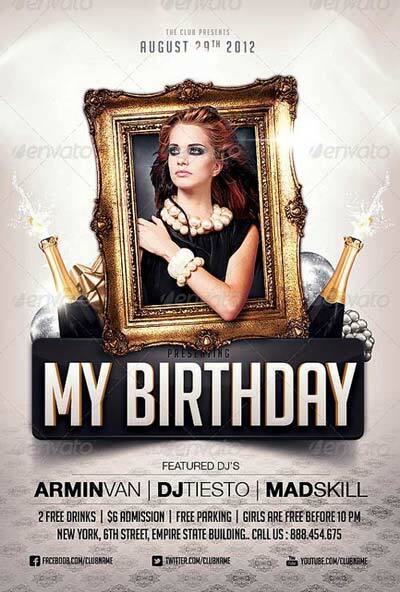 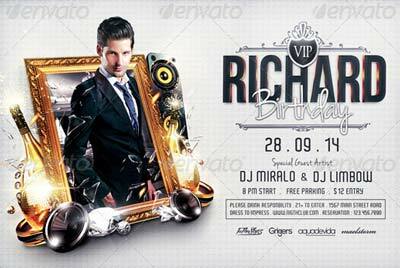 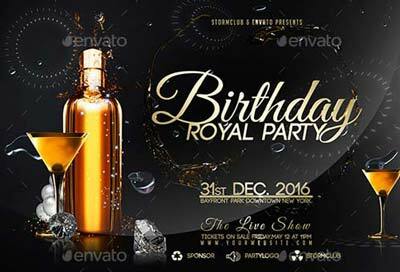 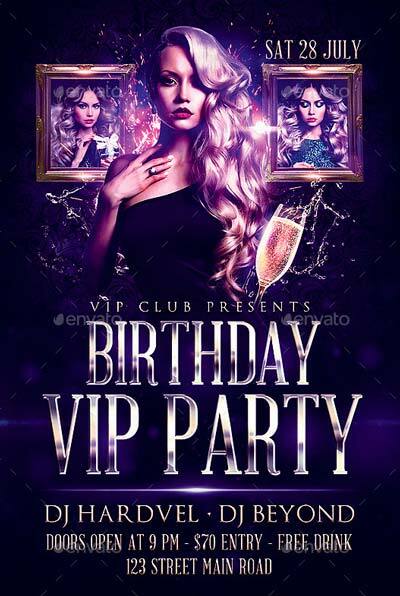 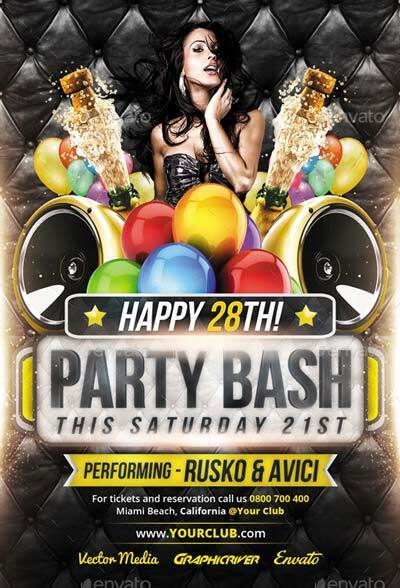 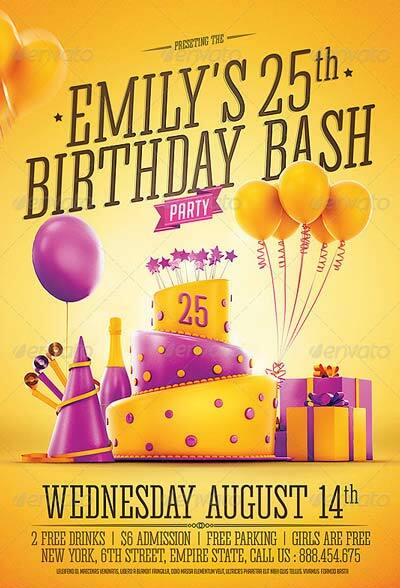 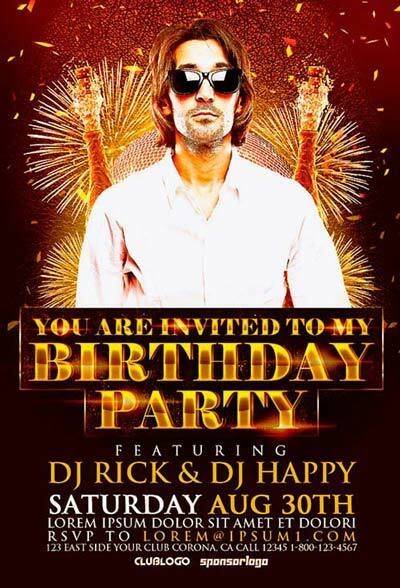 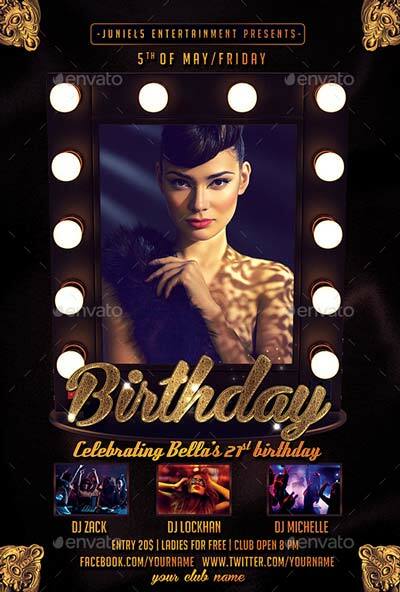 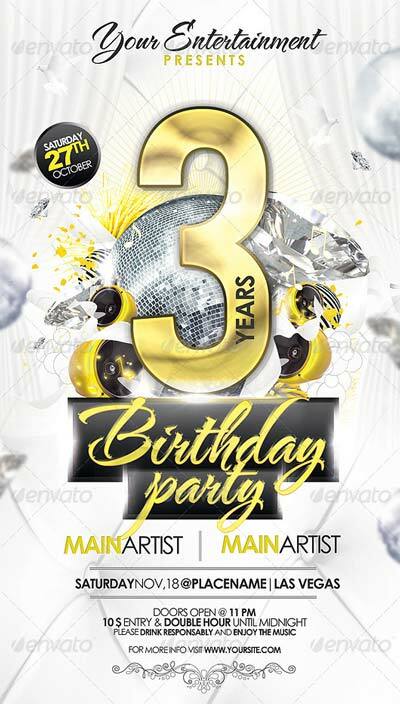 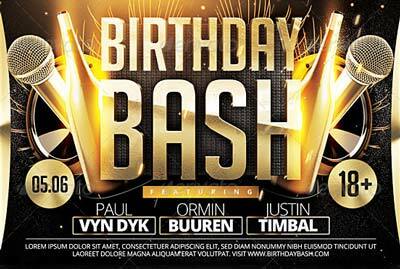 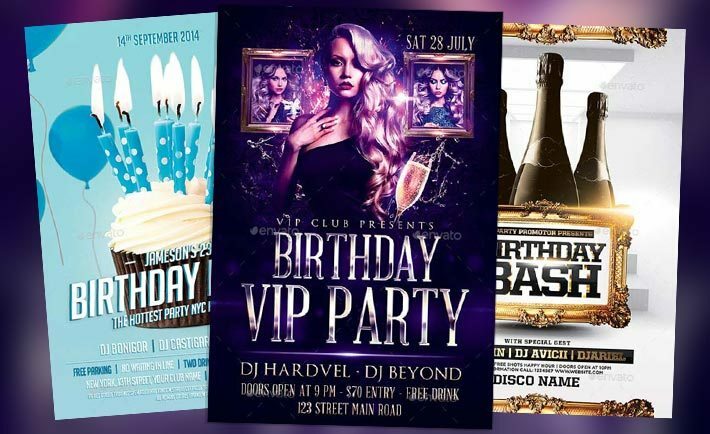 Enjoy the best birthday party and club events flyer PSD templates – high-quality print-ready flyer templates for Photoshop! 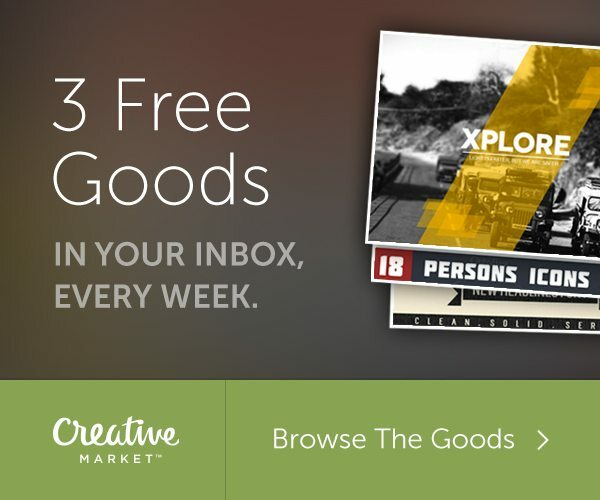 We hope you liked the design collection as much as we do. 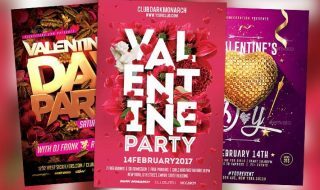 Take your time and check all the details of each flyer. 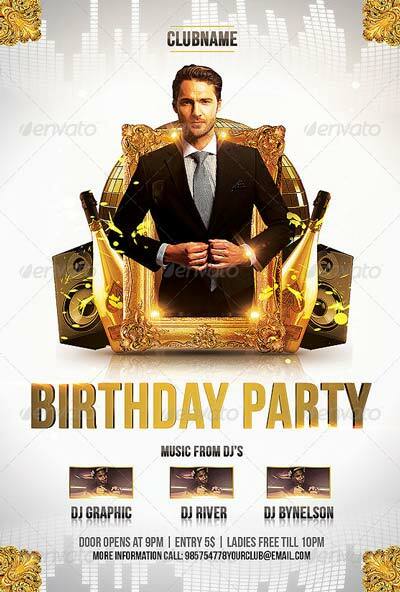 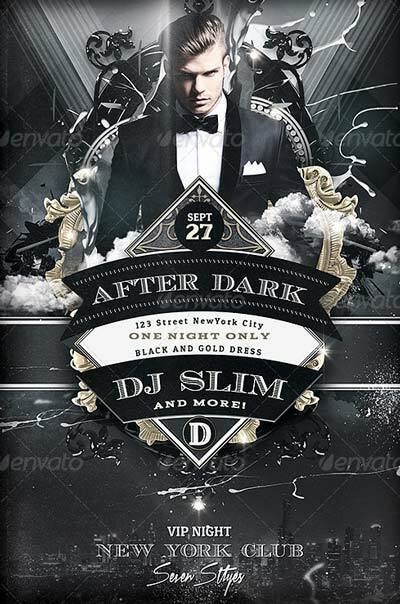 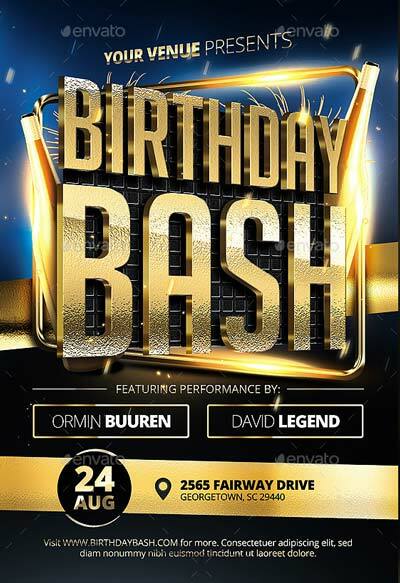 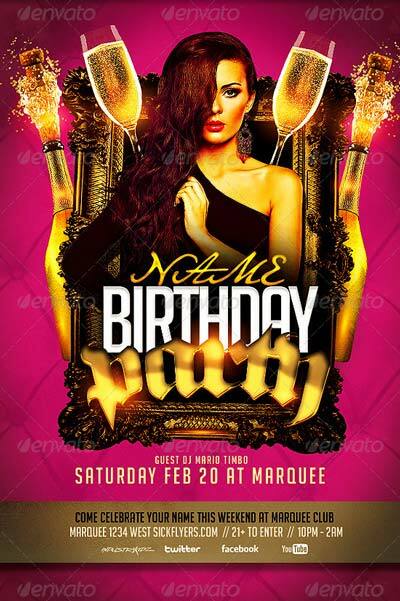 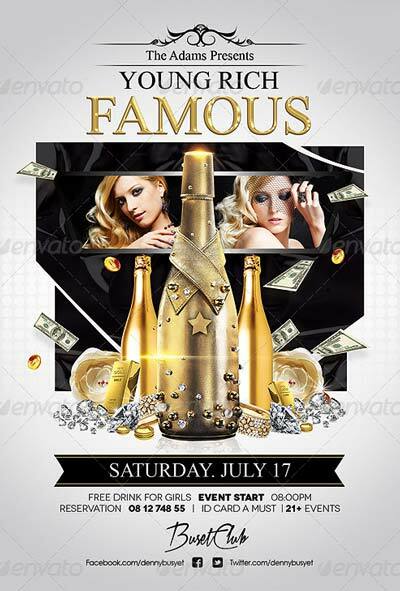 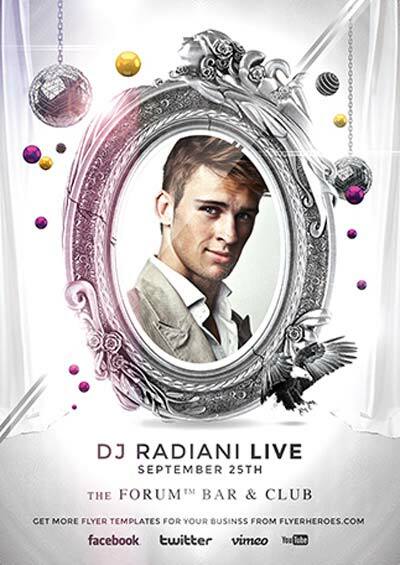 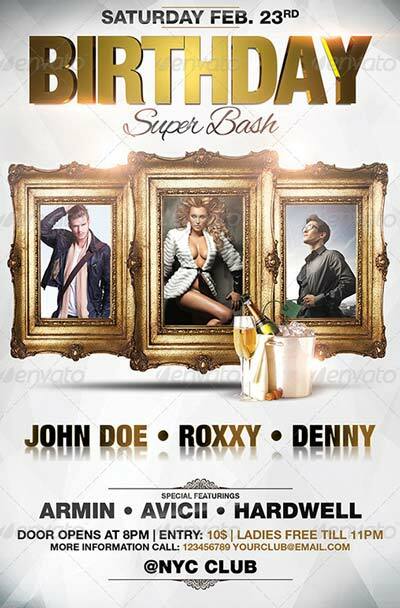 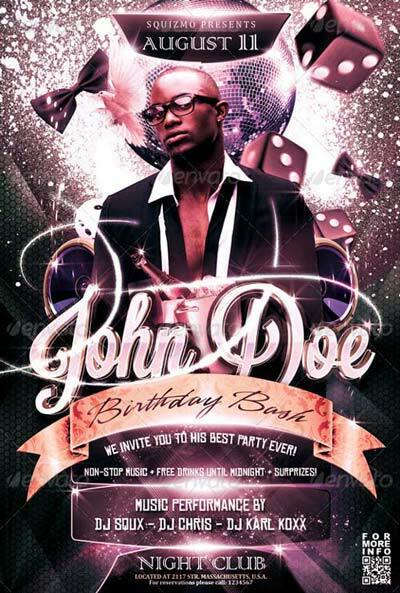 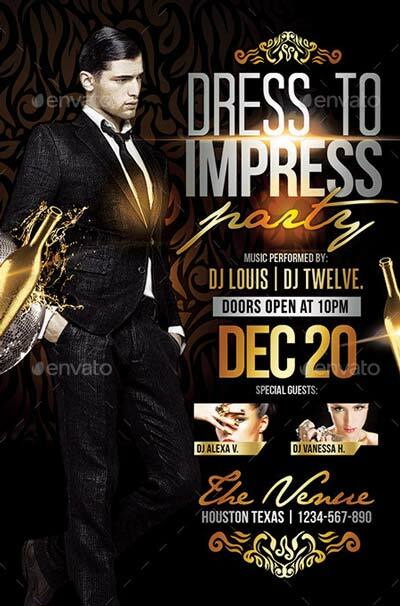 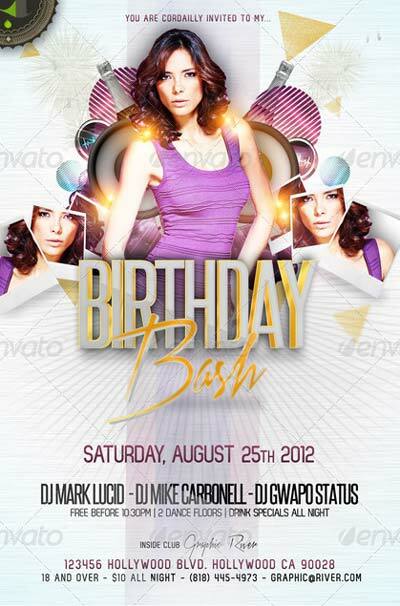 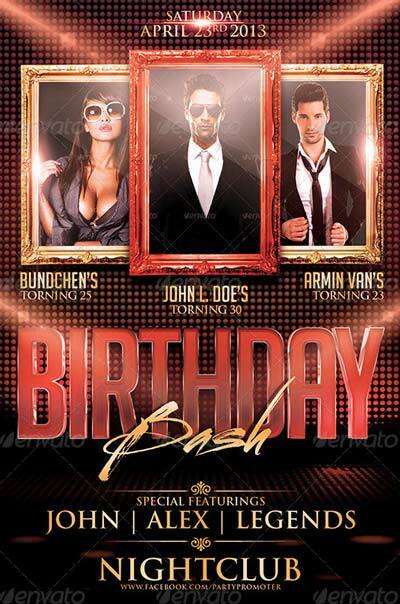 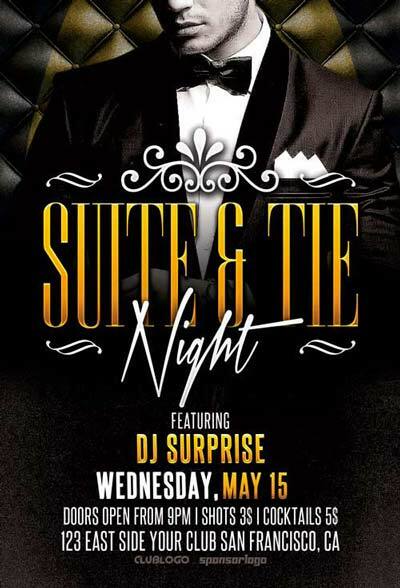 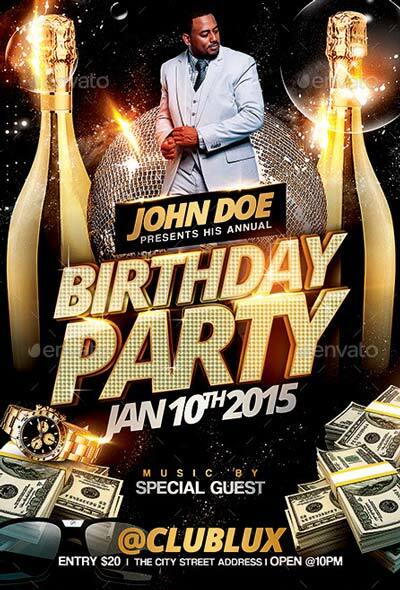 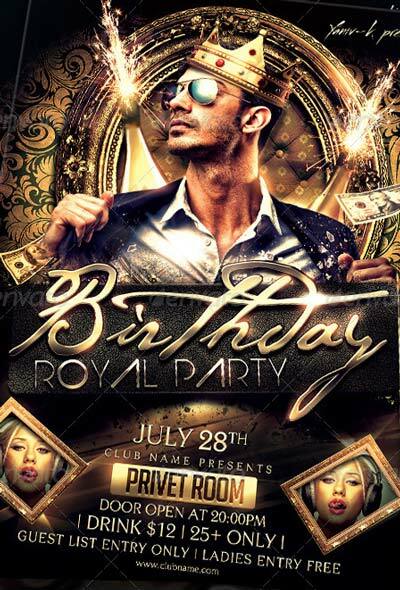 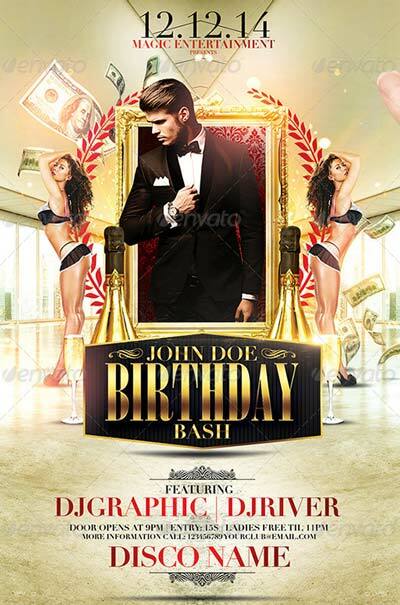 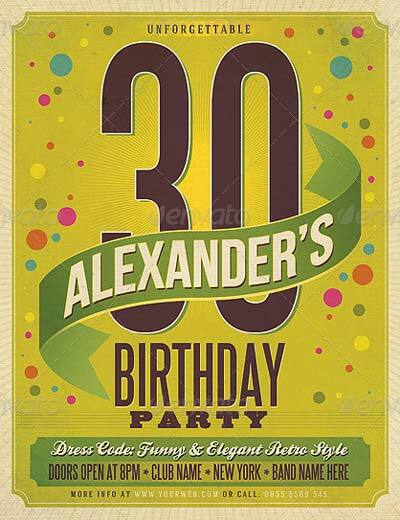 We like the classy and elegant party flyer templates. 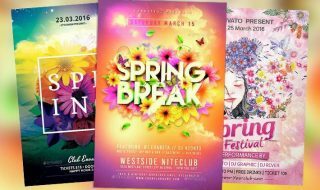 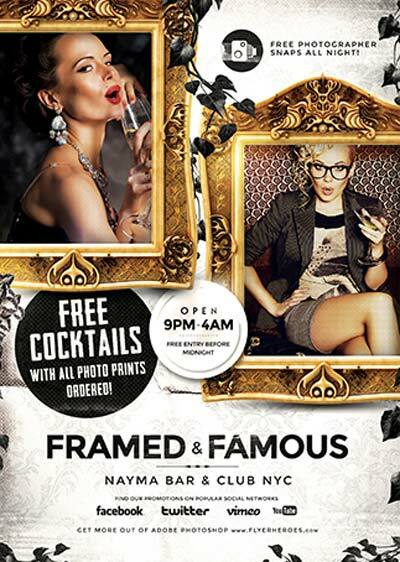 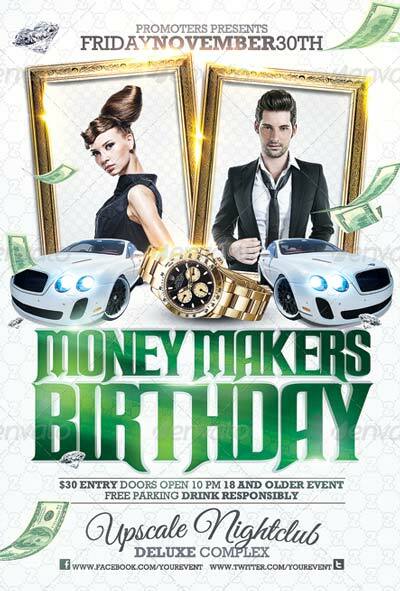 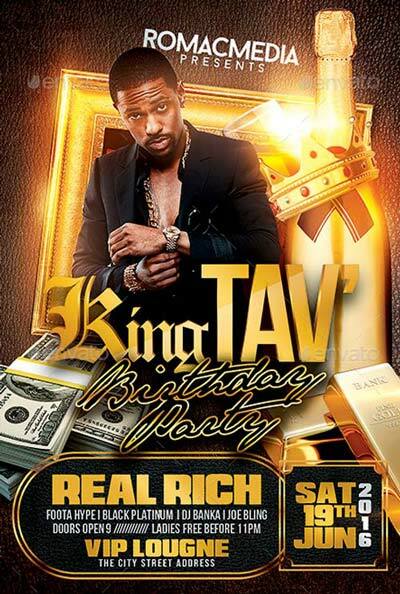 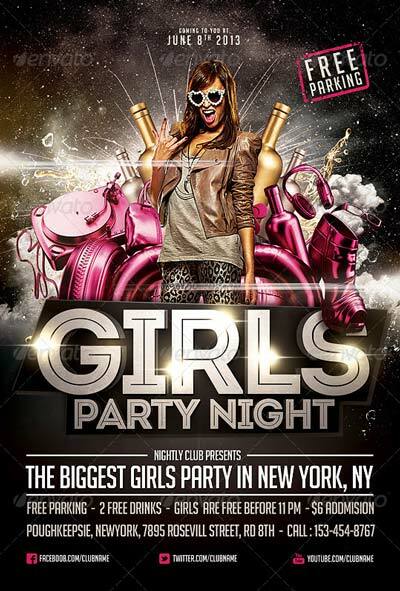 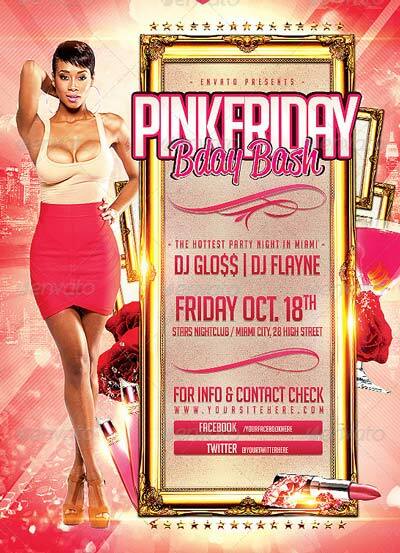 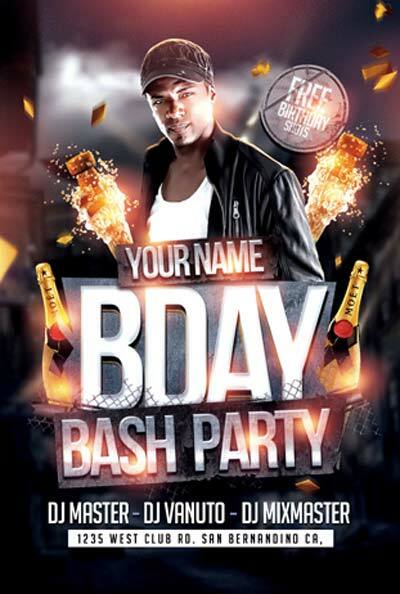 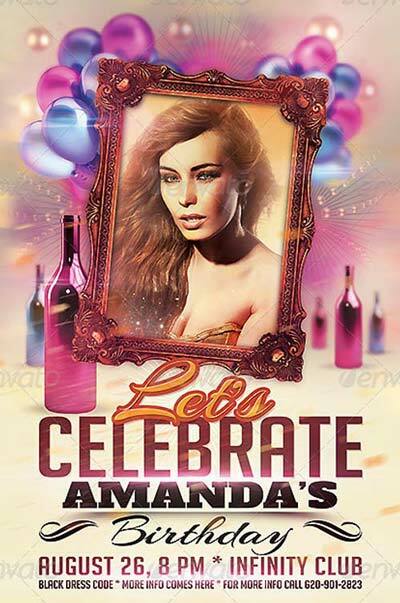 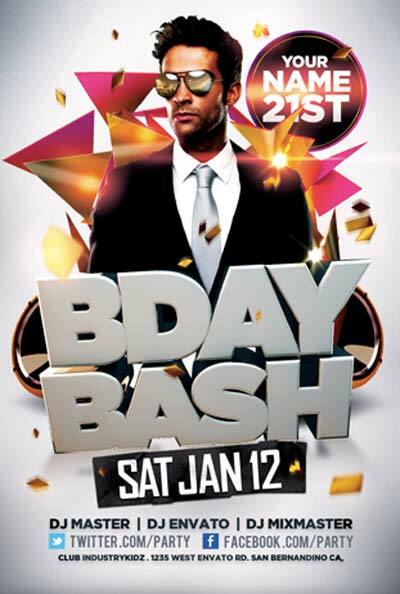 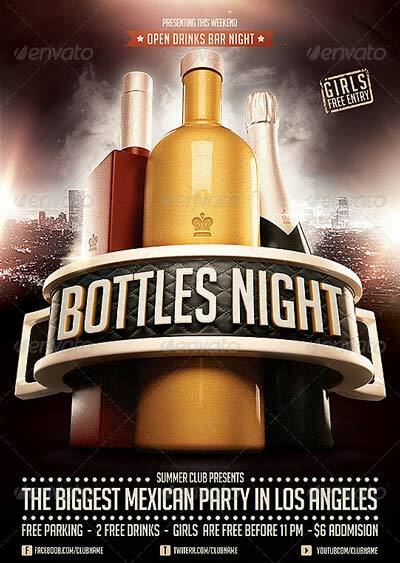 Improve the quality of your party and club event flyer and invitation layout. 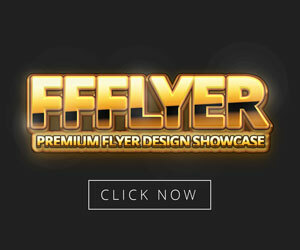 Many designs come with great extras and variations on it designs. 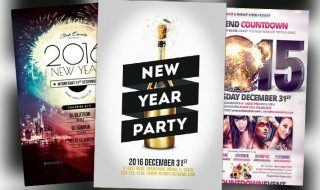 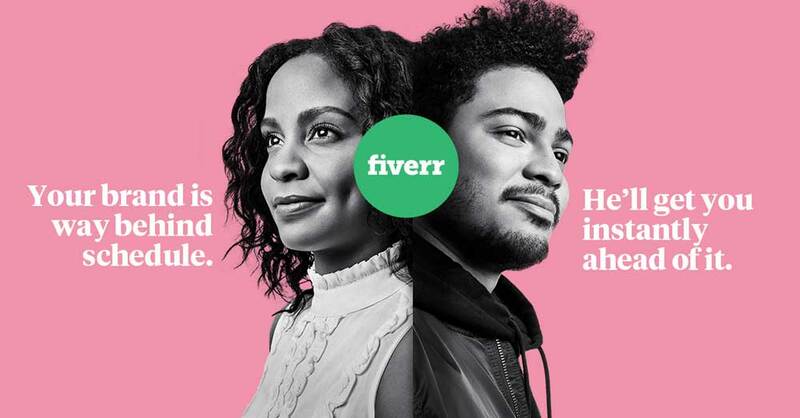 Create your next online and facebook group cover with your flyer and invitation pictures! 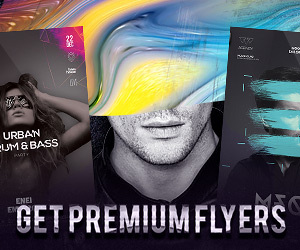 Write a comment about your favorite flyer design!